World War I was fought very violently. Machine guns, grenades, airplanes, armoured tanks, submarines and poisonous gas such as chlorine caused unbelievable casualties. Armies fought in dreadful conditions such as in the muddy trenches against the barbed wire fence. Even civilian were injured in the war. As soldiers were killed and injured, older and younger men had to be dispatched. In 1914 with appalling loss of life, Germany attacked Belgium and France but could not capture the Polish capital of Warsaw. In 1917, Russian armies quitted the battle fields due to a revolution in their land. The german attack on the US unarmed ships caused the United States to join the Allies in 1917. Finally, the Central Powers surrendered in autumn 1918. However, World War I was officially ended by an armistice signed in France on November 11. After the defeat of Germany in World War I, the treaty was signed between the victories allies and Germany in World War I, the treaty was signed between the victorious allies and Germany on June 28, 1919, the Treaty of Versailles in France. No Consultation was made with Germany. 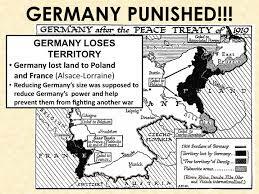 According to the treaty, Germany was blamed solely for the destruction and it was made to pay for the loss. Germany lost 13% of its land and 6 million people. It has to cede the following territories to different nations/organisation as specified. The German army was withdrawn from Rhineland; it was kept under Allied power for 15 years. Germany had to keep only 100,000 soldiers. New recruitment was restricted. Germany was not allowed to keep more than 24 warships. It was prohibited from manufacturing warships, tanks and aeroplanes. Germany had to pay gold and other things worth 660 million pounds for reparation. Coal production area of Saar was given to France for 15 years. World War I was a large-scale war and first of its kind. Advanced warfare techniques used in the war which caused horrible loss of lives and properties. 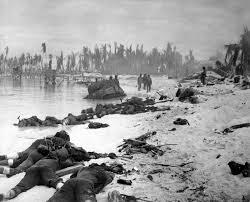 More than 8 million people were killed, 6 million were badly injured and 13 million people received minor injuries. About 36 nations were involved in the war. According to great economists, the total direct cost of war stood at about $186 billion. A huge amount of property, difficult to exactly estimate, was destroyed. Due to bombardment, thousands of factories and buildings collapsed. Serbia, Romania, Belgium, France and England were very badly affected. The Czar rule of Russia came to an end. Similarly monarchy was exterminated in Germany, Austria-Hungary, Bulgaria and Turkey. Republican system of administration became popular in Europe. Russia, Germany, Poland, Austria, Lithuania, Latvia, Finland, Czechoslovakia and Ukraine became republic. The Treaty of Versailles accepted the victory of nationality. So that new nations like Czechoslovakia, Albania, Poland etc. emerged. Big empires like Austria-Hungary and Ottoman Empires were destroyed. America became the centre of politics, military and finance. Labour class became important. Social reforms were introduced.International Labour Organization (ILO) was formed. Feeling of cooperation grew. There was drastically decrements of the population due to low birth rates. Poisonous gases and medicines were invented. Ships, planes, submarines, etc. were widely used in wars. For world peace and security organization named the League of Nations was established which was the first international organization of the world. The assembly, the council and the permanent court of justice were its organs. Nepal helped Britain in the First World War. The then Prime Minister Chandra Shamsher sent 7,500 Nepalese troops under the command of Babar Shamsher to help the British government. After that, more troops were sent led by General Padma Shamser, Tej Shamser and Keshar Shamser. It is recorded that Nepal sent 16,544 youths to fight in the war in the favor of the United Kingdom. Nepal also financially supported Britain by sending 1,000,000 pounds. Nepalese forces showed bravery and determination in the war and were far renowned as the brave Gurkhas. Emperor Kaiser Wilhelm II has said, "I can send my army to fight any troop of the world but my heart shakes when I hear the name of Gorkhali soldiers." Britain, impressed by the help from Nepal, pledged to send Nepal Rs. 1,000,000 every year and made Chandra Shamser a general in the British Army. A number of brave Nepali soldiers were awarded Victoria Cross and Military Cross for their invaluable contributions. Machine guns, grenades, airplanes, armored tanks, submarines and poisonous gas such as chlorine caused unbelievable casualties. In 1914 with appalling loss of life, Germany attacked Belgium and France but could not capture the Polish capital of Warsaw. 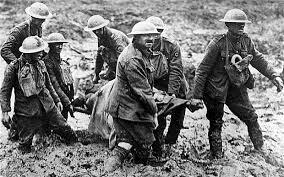 More than 8 million people were killed, 6 million were badly injured and 13 million people received minor injuries. The Treaty of Versailles accepted the victory of nationality. so that new nation like Czechoslovakia, Albania, Poland etc. emerged. For world peace and security organization named the League of Nations was established which was the first international organization of the world. Point out any three disadvantages that Germany faced after the First World War. War guilt and compensation: Germany was pressured to accept the sole responsibility for beginning the First World War. Thus, Germany was forced to pay 33,000 million US dollars to the victorious powers. German lost her territories: According to the territorial arrangement Germany lost territories. Germany Army was disarmed: The treaty of Versailles reduced the German's military strength. Write any six results of the First World War. Unprecedented loss of life and property. Fall of absolute monarchies and the rise of republicanism. The seed sowing of the Second World War. The birth of the League of Nations. Why, when and how the League of Nations formed? Encourage international co-operation. On 10 January 1920 the League of Nation was formed with 24 member's constitution of the organs; the assembly, the council, the secretariat, the mandates, commissions, the permanent court of international justice and the epidemics commissions. What were the social changes that occurred after the First World War? When men were engaged in war, women came forward to work in offices and factories. Women worked hard, confidently and they became conscious of their rights. Soldiers of different countries found opportunity to exchange their ideas. 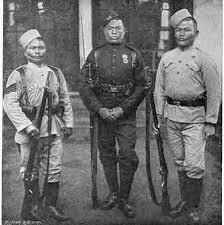 Nepalese soldiers too reached Europe and Africa during the war. The war changed religious and orthodoxy of Europe people and they became more secular. Factory laws were passed and trade unions were opened in many countries of the world. What were the causes of the world war I. Describe briefly? Formation of two Hostile Alliance: France and Germany were arch-rival. To isolate France and to secure support to his policies, Bismarck made a secret alliance known as 'Dual Alliance' with Austria-Hungary in 1879. Italy joined this alliance in 1892. Now it came to be known as Triple Alliance or Central Power. After Otto Van Bismarck resigned from his post in 1890, France made two different treaties with Russia and Britain and hence triple estate was formed of France, England and Russia. These two groups were likely to fight to each other at any time. Aggressive nationalism: Nationalism can be an evil force and a curse to humanity. It is usually based on the slogan 'My country', right or wrong, is the greatest. It showed the seeds of the First World War. Anarchy and absence of peace keeping organization: The big and powerful nations began to do what they liked. They ignored justice and values. 'Might is right' was the order of the time. The strong nations openly violated international laws. There was no such international peace keeping organization which could control the explosive situation prevailing in Europe. The immediate cause: Archduke Franz Ferdinand was the hero of Austrian throne. At a time he was travelling throughout the streets of Sarajevo, the capital of Bosnia, along with his wife Sophie Chotek, a Black Garvilo Princip murdered the couple, shooting from nearby on 28th June 1914. This incident sparked off the First World War. What are the results of First World War? Unprecedented loss of life and property: This war had caused a heavy loss of human life. Out of 65 million people involved in war, ten million people lost their lives and millions were wounded and maimed for life. A unimaginable amount of property was destroyed in this war, nearly 6000 British ships and 200 German submarines were destroyed. This led to untold misery and suffering. Monarchies destroyed: The four monarchies along with their monarchies collapsed. Rise of new nations: The First World War changed the map of the world. Many new nations emerged. Emergence of dictatorship: Due to unemployment and economic depression followed by unrest and chaos, democracy could not sustain. Therefore, dictatorship emerges in Germany, Italy, Spain and Russia. The British of the League of Nations: the league of nation was set up to restore, peace, goodwill and cooperation among the nations of the world. It aimed at preventing the outbreak of war in future. Social consequences: It brought about a lot of changes in societies. Many young boys died in this war which affected the population of many countries. Many people were rendered homeless. How many nations were involved in first world war? How many percent of land was lost by Germany in first world war? Germany was not allowed to keep more than_______ warships. Coal production area of Saar was given to _____ for 15 years. Prime minister Chandra Shumsher ______Nepalese troops under the command of Babar Shumsher to fight for the British government. Was vaesailies treaty fare with Germany? Any Questions on 'Consequences and Effects of First World War '?